We’ve all seen the tragic headlines by now about Jared Fogle and his admission to some very serious and disturbing federal offenses. I think we can all agree that most of us would like to keep many individuals, like Jared Fogle, away from us. In all honesty, these types of dangerous individuals may be the very reason why we do background checks. The question is, would your current background screening program catch a criminal like Jared Fogle who has committed a federal offense? You may be surprised to hear that if a federal criminal record search is not part of your current background screening program; the answer is No. Federal offenses are not included in County, State, or National Criminal database searches. To protect your organization, it is essential to understand the different types of criminal record searches and how they work. 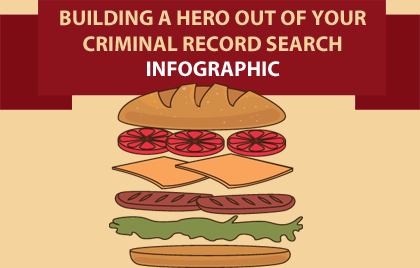 Much like a great sandwich, a great criminal record search process is built with layers. Taking the time to learn about each type of criminal record search and matching the appropriate search to the appropriate job position will ensure you hire a hero, instead of a zero. Most importantly, a healthy criminal background check program needs to be ongoing. Our scheduled post-hire monitoring helps make sure that your employees are maintaining the safe, responsible conduct you require. Looking for more information about which criminal record search options are best for your organization? Please contact us at (800) 356-6885 or email us at sales@justifacts.com, we’d love to hear from you!